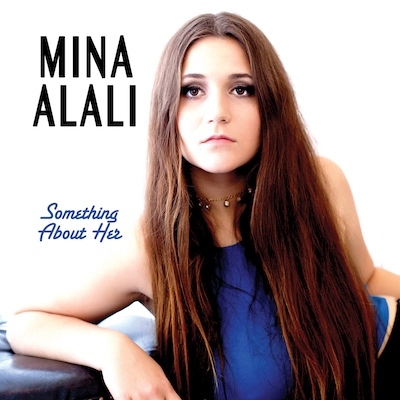 Something About Her, the title track of Mina Alali's new album, debuted this week at the #7 slot on Billboard's Hot Singles Chart. NEW YORK - May 22, 2017 - PRLog -- Nineteen-year-old Davis, CA, native Mina Alali, a student at Berklee College of Music is home for the summer with an ambitious concert schedule for her new album, Something About Her (Kick-A-Beat Records). Just this week, Something About Her, the title track of her new album, debuted at the #7 slot on Billboard's Hot Singles Chart. It appears that several major labels have taken note of this achievement and some offers of record deals have been placed on the table. Kicking off in June Alali and her band will head out on the first leg of her Something About Her North American tour. Mina's star power recently lit up Times Square and her album has garnered wide acclaim for its energizing beats and profound lyrics from DJs on the radio and journalists in the press. Being of Iranian heritage she feels compelled to use her talents to combat prejudice and her mission as an artist is to create community and promote social justice. Mina Alali and Kick-A-Beat Records have made lots of new friends the past year. Forming an alliance with Select-O-Hits Distribution has made it possible for fans to find her Something About Her at their favorite record stores. The entire album and individual song is also currently available through iTunes and Amazon, as well as other major digital retailers. The invitations to appear and/or perform on network television have been pouring in for this young artist.